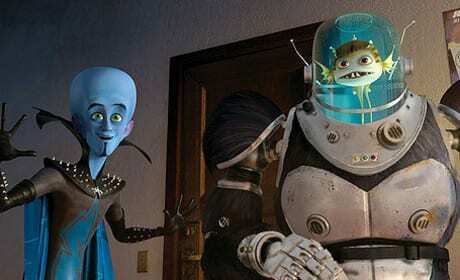 Megamind and Minion rock it out. 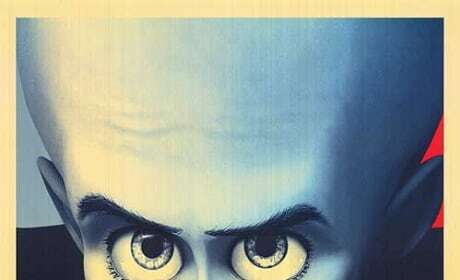 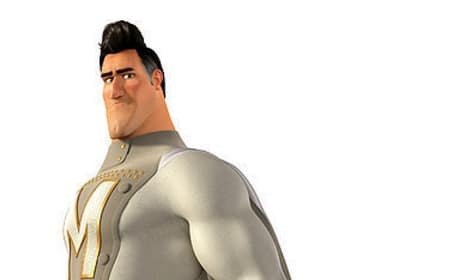 Megamind targets President Obama with this clever parody of the iconic HOPE poster. 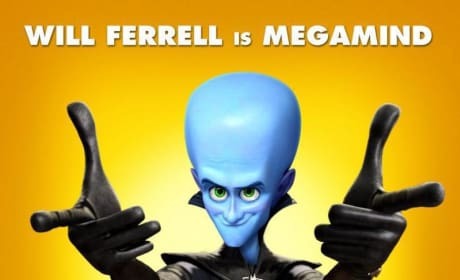 THeatrical poster for Megamind, featuring Megamind, voiced by Will Ferrell. 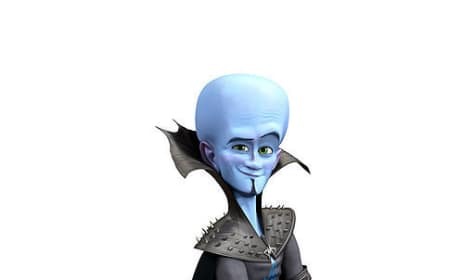 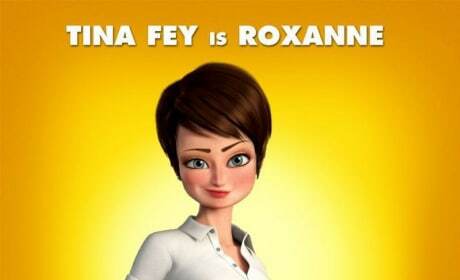 Theatrical poster for Megamind, featuring Roxanne, voiced by Tina Fey. 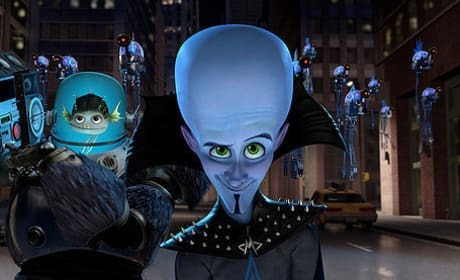 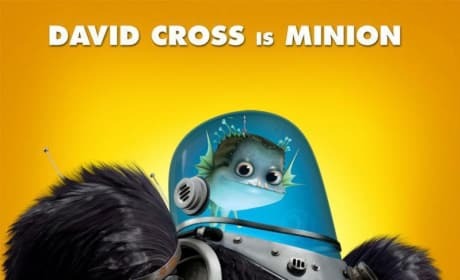 Theatrical poster for Megamind, featuring Minion, voiced by David Cross. 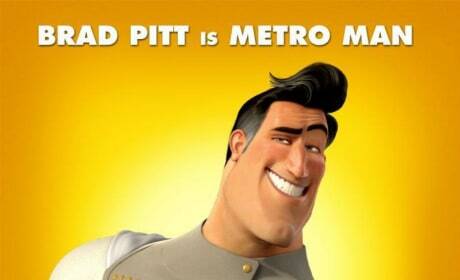 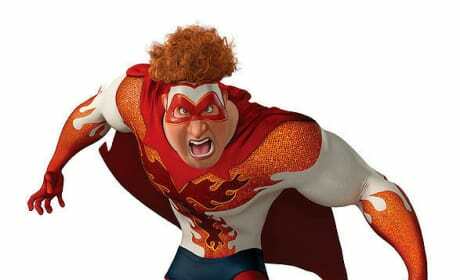 Theatrical poster for Megamind, featuring Metro Man, voiced by Brad Pitt. 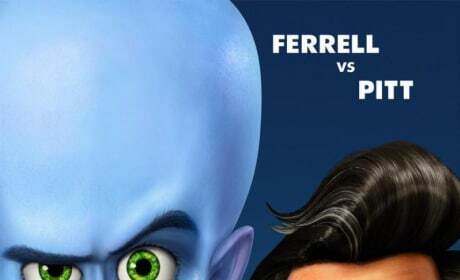 Theatrical poster for Megamind, starring Will Ferrell and Brad Pitt.